Sub master vault copy of the Only Happy When It Rains video comes on 1 inch reel to reel tape. The box is dated February 6, 1996, it is also marked as Sub Master and Vault. 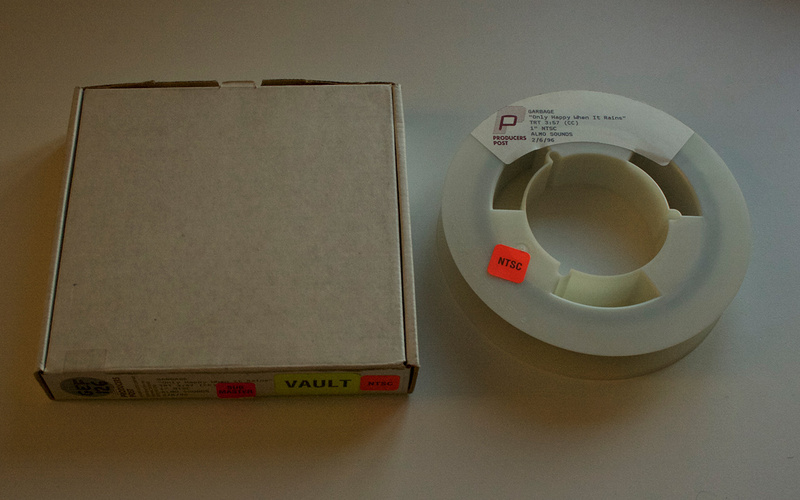 Unreleased Vault Copy, 1 inch Type C Video Master, 1 track (Milk (Video)) comes in corrugated card box.